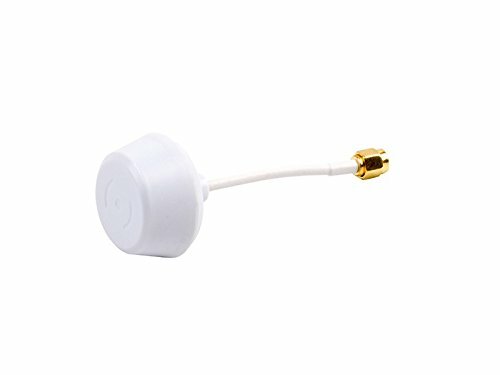 The CloverLeaf omnidirectional antenna is the perfect choice to use RF Explorer in 2.4Ghz and 5.8GHz bands. CloverLeaf antennas have circular polarization and therefore can detect all direct and bouncing signals, making a way superior choice to detect interference and wanted radiations. The main difference with other dual band antennas is the perfect coverage in all directions, as opposed to whip and rubber duck dipoles which are limited to vertically polarized signals. It comes with standard SMA connector and robust ABS coverage to protect internal Cloverleaf multi-petal design from damage. If you have any questions about this product by EMRSS, contact us by completing and submitting the form below. If you are looking for a specif part number, please include it with your message.